I have in my clutches quite possibly one of the funkiest hair accessories I have ever seen or owned for that matter. Designer Mara Hoffman has designed a hair accessory in collaboration with CATWALK by Tigi drawing influence from Mara’s world travels and of course boho chic style and each one is of course hand made. 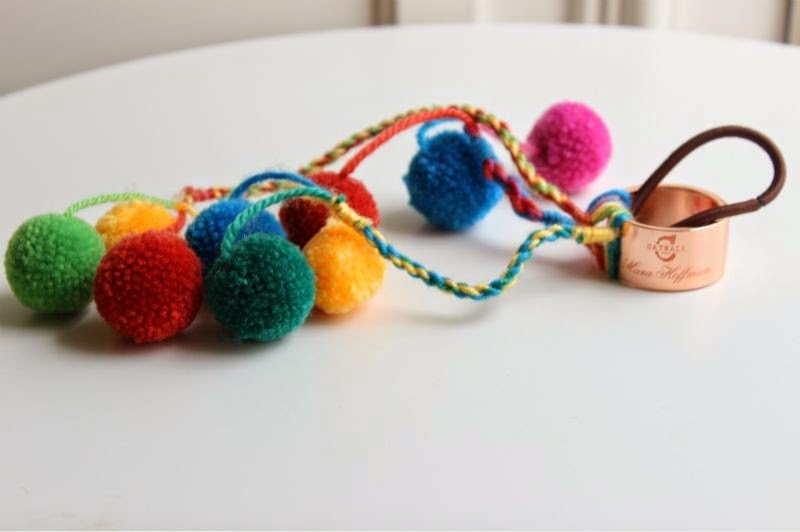 The idea is that the funky pom pom adorned hair tie has been created to be stacked or worn on its own an can be yours should you visit a TIGI salon and purchase two Catwalk by TIGI products! I can't help but see Glastonbury Musical Festival each time I look at it. hi any idea how to get hold of one?